green chile and artichoke soup – ugly food tastes better. 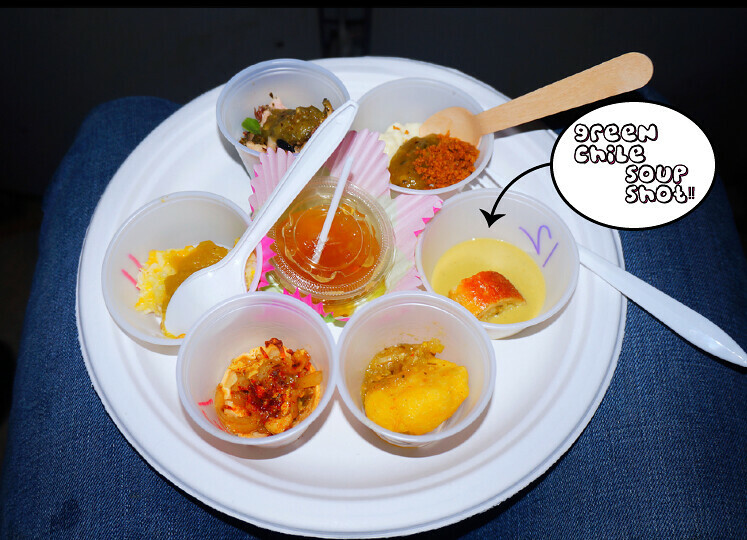 Back in October I competed in the Green Chile Takedown at the Food Film Fest in Manhattan. The ONLY thing I wanted to make was green chile soup, because I will never forget the artichoke and green chile soup I had on my California Trip a couple years back. And whaddaya know, I won second place! 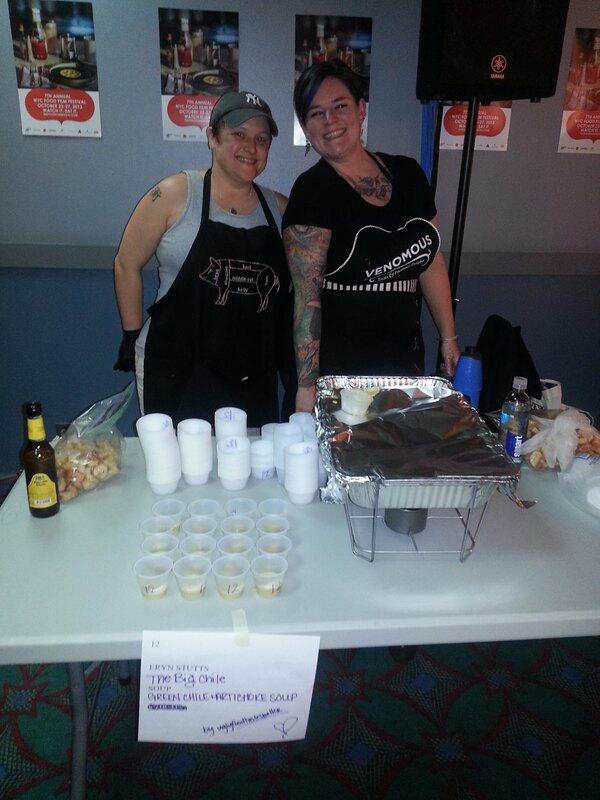 My trusty sous chef Courtney and I being silly and doling out “The Big Chile” soup shots to the moviegoers in honor of the awesome movie of the same title. Sometimes simple is just better. And when you are presented with five pounds of green hatch chiles from Cali, its pretty easy. Serves – Everyone. I like to make soup in large amounts. This garauntees that you will have some all week, and that you can share, and freeze some to marry over a month and then bring a new magic to you on a day where you have no time to cook. But obviously you are an adult and can downsize this as you see fit. Nutrition – Not too shabby. I received a paprika pepper plant as a gift this past Spring, and I air dried the last harvest and pulverized it in to powder. 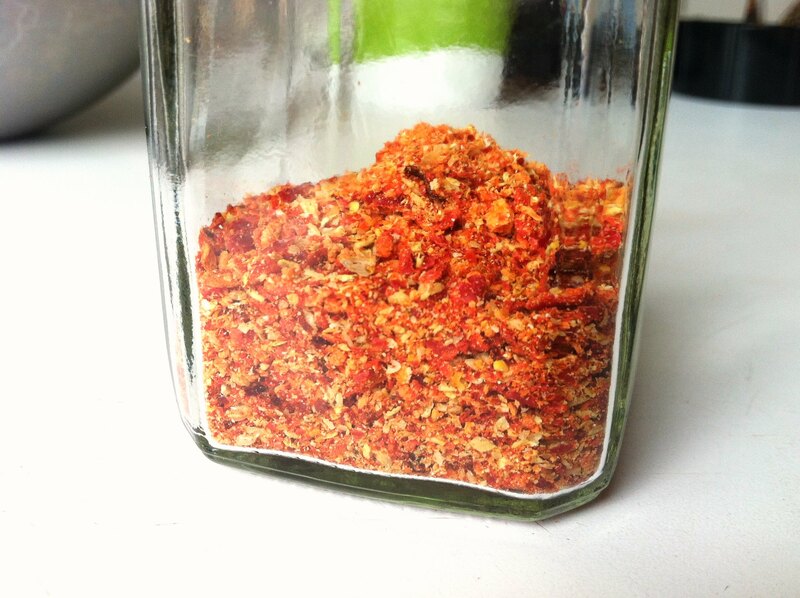 It is the BEST paprika I have ever had and I have now started making all my own pepper powders. I highly recommend it if you have the space. – Roast and peel chiles and peppers. I like to just chuck them in the oven at 400 until they’re black and then shove them in a freezer ziplock and let them sweat their skin off. Then when they’ve cooled I can take it off easily and chuck it. Then slice the peppers. It doesn’t really matter how, this is all getting blended, so be as haphazard as you like. – Get out your stock pot and melt your butter. Add onions and Cook until slightly soft and then add garlic and cook a few minutes, or until you are fully salivating. 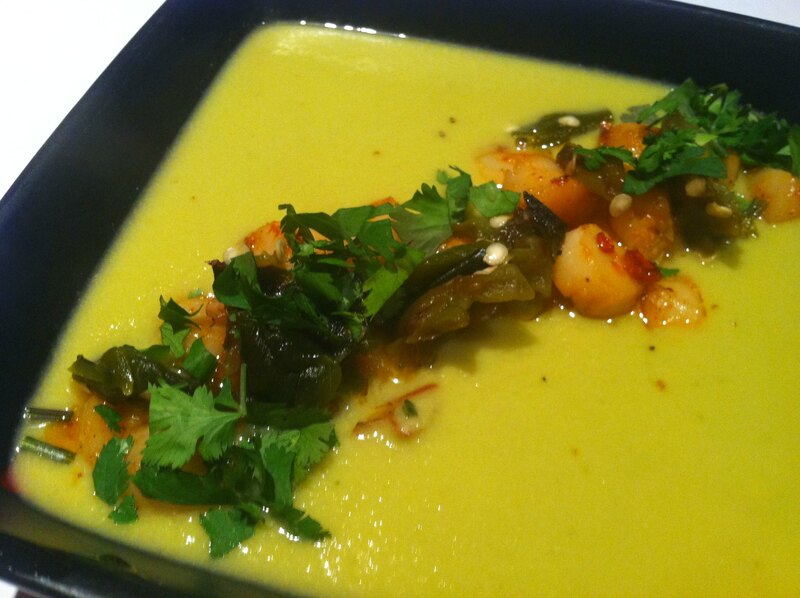 – Add chiles, artichokes and broth to the pot and bring to a boil. Reduce heat to maintain a steady simmer and cook until vegetables are extremely soft, around 15 minutes. 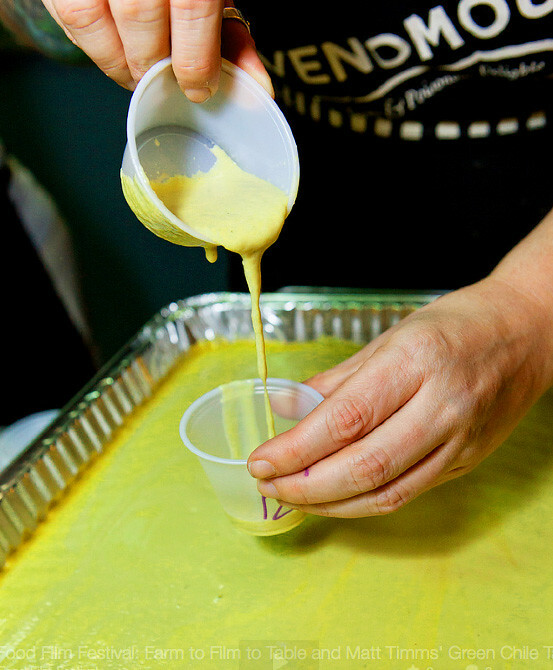 Then start blending in batches until velvety smooth and pour back in the pot and stir in cream. Gently heat until mixture is heated through. Add S & P as you see fit, and top, or don’t, with croutons or scallops!